One thing about official basketball rules. They aren't "one size fits all." In fact, not since James Naismith first published his original 13 rules, has there been one standard set of regulations. So, before you become one of those uninformed screaming fans, learn the rules for the league you're watching. Many spectators assume the rules of basketball are the same whether they're attending a high school, college, or NBA game. Looking for youth, NCAA, or high school basketball rules? How about regulations for the NBA, WNBA, or FIBA? Most of the basic rules regarding positions, scoring, fundamental skills, fouls, violations, etc. are similar across leagues, but there are some significant differences that are important to know. Each level of basketball has different basketball court dimensions. The basketball court layouts of high school, college, pro, and international courts differ. Basketball sizes vary by age and gender. Take a look at each competitive level below to learn more. Unlike the other levels of competition, youth basketball leagues are not governed by a single legislative body. 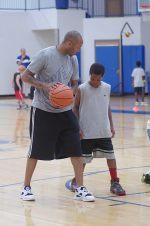 As a result, youth basketball rules vary depending on the organization running the league. Learn more about common rules and guidelines for kids leagues. The National Federation of State High School Associations writes and governs the high school basketball rules in the U.S. And though every public school district across the country is governed by the same set of regulations, each state interscholastic athletic association publishes its own handbook with additional rules unique to its member school districts. The National Collegiate Athletic Association (NCAA) oversees the college game. 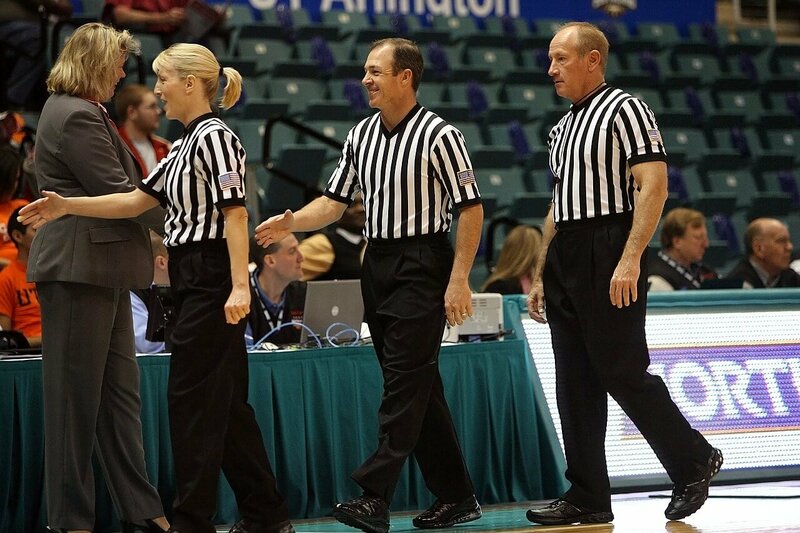 The NCAA has separate men's and women's basketball rules committees that determine the game regulations for men's and women's intercollegiate basketball. Download your free copy of the latest NCAA basketball rules. There are professional basketball leagues in the U.S. for both men and women, and each league has its own set of official basketball rules. Professional competition for men in the U.S. is governed by the National Basketball Association. Find the latest NBA basketball rules. The professional women's league follows the WNBA rules set forth by the Women's National Basketball Association. Official basketball rules for international competition are established by the Federation Internationale de Basketball, or FIBA. European leagues play under slightly different game rules than we use in the U.S. When teams from around the world face each other in competition in the Olympics or World Championships, for example, FIBA basketball rules are used. See How the Basketball Game Rules Have Changed!